Overlooking the Chembarambakkam Lake and standing on the Bangalore Highway (NH-4) in Chennai, Godrej Palm Grove is a 12.5 acre property offering premium residences over fourteen proposed towers of 19 storeys each in its first phase. Units on offer are 2 and 3 bedroom apartments spanning 1188 to 1489 sft that comes with facilities like piped gas supply, intercom connection, internet and DTH service. This premium Chennai property also presents its residents with superb amenities like club, gym, pool, play courts and more. 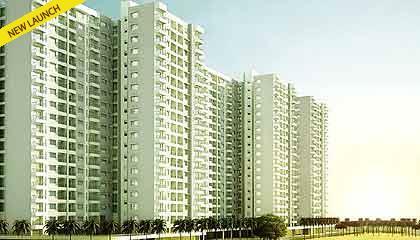 Godrej Palm Grove enjoys good connectivity with all the important points of the city. While Queens land is around 5-6 mins drive from the site, Poonamallee is within 8 min drive. The proposed Green Field Airport is 10 km from the site.